Suvereto is a small Medieval village, its origins dating back to the early 1000s, resting upon the slopes dominating over the sea and Etruscan coastline, nestled in the green valley traversed by the Cornia, and rich in history and art. In short, it is a real jewel. Within its ancient walls, the town includes cobble-stoned alleyways overlooked by stone houses, historic palazzi, churches, and cloisters. Its charm, however, is also to be found in its inhabitants, thus keeping the place lively and genuine. Every Monday morning, beneath the town walls, a small local market is held. 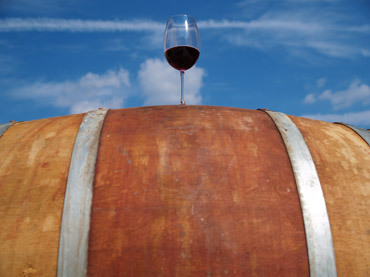 In the summer, a succession of events is dedicated to local wines and food; the most famous, the “Calici di Stelle” (the “chalice of stars,” 10 August) attracts a great many wine lovers (www.comune.suvereto.li.it). The most famed festivals include: Serate Medievali (“Medieval nights,” July) and Sagra del Cinghiale (the wild boar festival, first week of December, www.suvereto.net). In the village’s restaurants you may enjoy traditional dishes accompanied by our wines. Ask us for suggestions. We are located right in the middle of the most varied stretch of Tuscan coastline extending from Livorno to Grosseto. While sojourning in Val di Cornia, you may enjoy the cool relaxation of the countryside with quick visits to such beaches as: San Vincenzo, Parco di Rimigliano, Golfo di Baratti, Parco della Sterpaia, Mortelliccio, Carbonifera, Torre Mozza, Follonica, and Cala Violina. 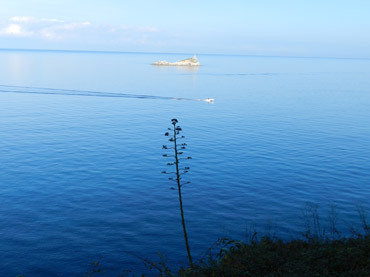 From the port of Piombino (35 min), you can reach the island of Elba, for day trips, too. In fact, in the summer, boats leave about every 30 minutes from 7:00 AM to 9:00 PM. Val di Cornia was Etruscan and then Roman territory. Historical remains are quite visible when visiting the villages of Suvereto, Campiglia Marittima, Piombino, the Gulf of Baratti, and Populonia. 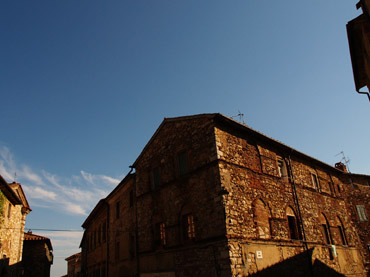 By car, other destinations are no more than 30 minutes to 1 hour away: Bolgheri, Castagneto Carducci, Massa Marittima, Volterra, San Galgano, Siena (1H30m). By train from the Campiglia Marittima station: Pisa 1 h, Florence 2 h, Rome 2H15m. Spring and autumn are the best seasons for enjoying the area’s thermal bath offerings. Our guests enjoy a € 5.00 discount for entrance to Terme di Sassetta, thermal springs nestled in a cosy, eco-friendly setting in the Cerro woods. Venturina, on the other hand, is home to Hotel delle Terme, with treatments covered under agreement with the local health concern, and the large, open-air pool of historic Terme del Calidario facility. Ask us for more information on discounts available for our guests at participating facilities. For aspiring oenologists or just those who enjoy a glass wine, after the free tasting for Bulichella’s guests, you can schedule a tour of the famous wineries on the “Strada del Vino Costa degli Etruschi” (“The Etruscan coast wine road”) circuit, to which the following denominations belong: Suvereto, Val di Cornia, Terratico di Bibbona, Montescudaio, Bolgheri, Isola d’Elba. Suvereto and its surroundings are well-known among trekkers for the numerous trails to be covered on foot or by bike, from simple strolls to more demanding itineraries. From the farm, crossing through the countryside, one can reach the town from which the paths for Belvedere and Monte Calvi begin. Ten minutes away by car is Parco di Montioni where, in a splendid green setting, the thick oak woods and Mediterranean maquis are home to dense trails to be covered on foot, by bike, or on horseback, amid mines and historical remains. Our collaborators include an environmental excursion guide who, subject to booking, can help you select excursions and hiking based on your needs. 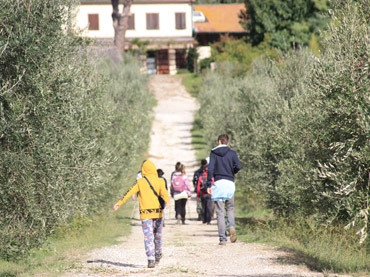 Daily and multi-day programmes are organized, on foot or by bike (equipped bikes), for adults and children (www.guidecostaetrusca.it). Tours and excursions in: Suvereto (Livorno) and surroundings, with its numerous paths, the Etruscan coastline and Medieval cities, the WWF oasis of Padule di Bolgheri (Livorno) and Orti-Bottagone Piombino (Livorno), Biancane geothermal park (Grosseto), Mondo Marino aquarium in Massa Marittima (Grosseto), Parco della Maremma (Grosseto), Islands of Elba, Pianosa, and Giglio.